Join us in the Nation's Capitol for DEM2019. We will come together to showcase developments in the field of diagnostic quality and safety, and focus on the unique role of public policy in driving advances in research, quality improvement and medical education. 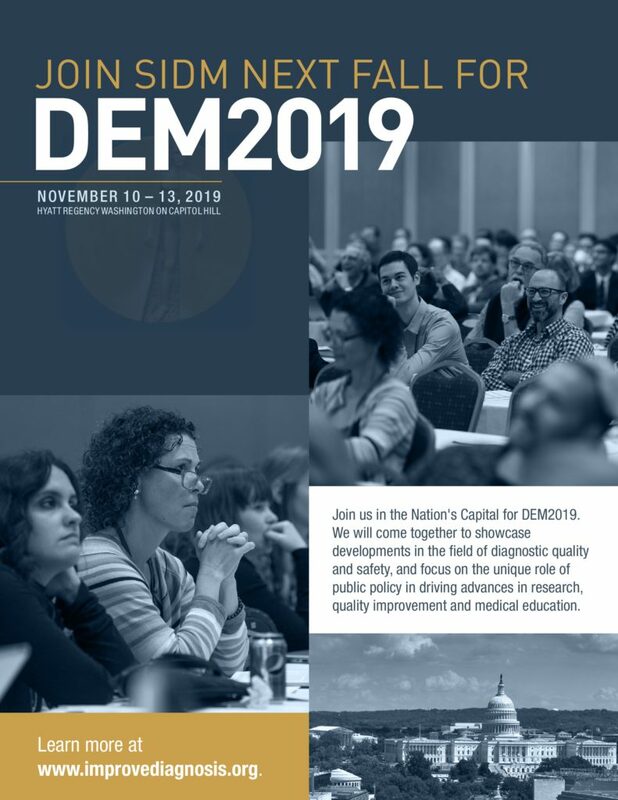 The Society to Improve Diagnosis in Medicine (SIDM) is seeking submissions for high-quality sessions, posters, and oral abstracts that contribute to and advance the field of diagnostic quality for DEM2019. Get the latest conference updates delivered directly to you inbox by joining our mailing list.